Quotes Best Friend Quotes People with Weird personalities make the best friends. Being able to be openly weird actually relieves stress and anxiety. People with Weird personalities make the best friends. 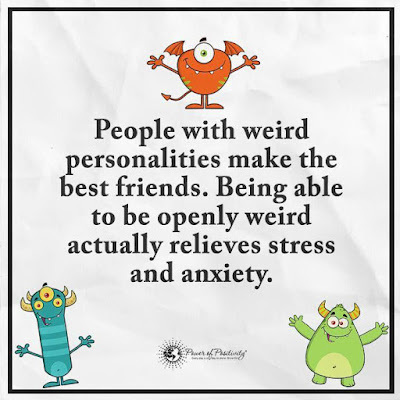 Being able to be openly weird actually relieves stress and anxiety.